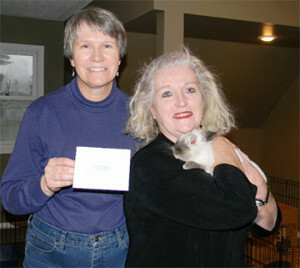 Many OHRR volunteers and supporters extend their impact for OHRR by giving thru their workplace. We have supporters who give through major Columbus employers such as Chase, Battelle, IBM, Verizon, Nordstrom, Nationwide, and via United Way. Sometimes, that gift (or one you make directly to OHRR) can be matched by your employer, multiplying the impact for the bunnies! In another example of a way to give, one of OHRR’s long-time volunteers, Chris Baker, arranged for OHRR to be the charity of the month as a part of her employer’s, (Nexeo Solutions) Great Place To Work group, Chris’ colleagues combined to donate $750 to OHRR. We thank everyone who has given through their workplace and encourage you to look into the possibility!